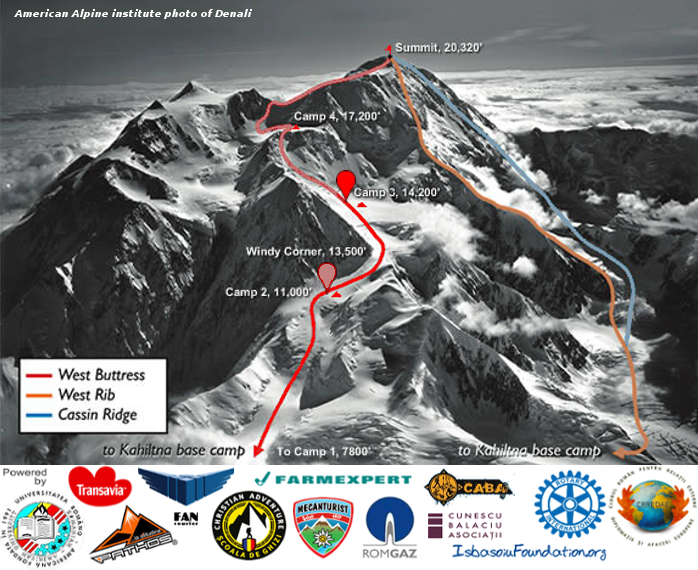 18 June 2015 – have managed to reach Camp3, without any problems, with the first tent at approximate elevation 4389m where they set Camp3 ( 4.389m – 14.399ft ) This part of the Mount McKinley ( Denali ) is named Genet basin, in honor of climber Ray Genet , pioneer of Denali . Until now they had gorgeous weather . We hope they will have favorable weather in the feature too. In the same day they were able to return to Camp2 , Motorcycle Hill area from where they will move tomorrow to rest at Camp3 ( in Genet Basin Camp3 ). After that follows a period of adjustment depending on the weather and they will try High Camp – The Crows Nest at 5.242m altitude – 17.196ft .